When Fashion meets Art, the outcome is mostly promising. Fashion is like art a medium for interpretation and expression. As for me, my body is my very own canvas that serves as a communication tool. Every day, I can express myself new and seek out what suits my personal taste. Clothing sends a message and communicates emotions. It can be your vision of the world. Therefore the union between art and fashion is in particular very interesting. The possibilities are versatile. 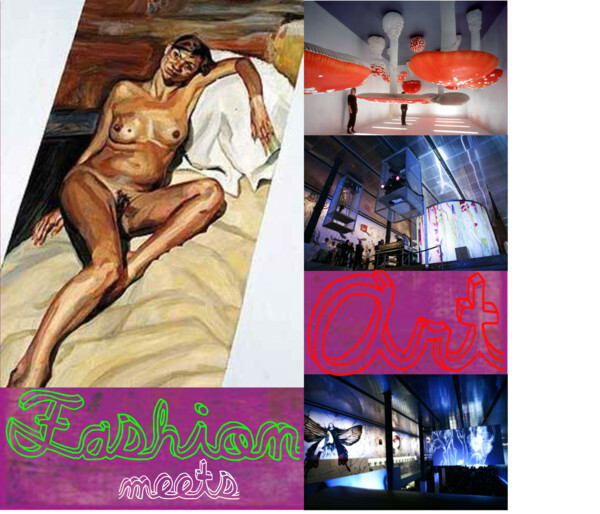 Miuccia Prada`s Fondazione Prada has supported many ambitious artists in their creative process and enjoys an international reputation in the art scene. Supermodels become life models and pose for painters. Famous example is Lucian Freud`s portrait of a pregnant Kate Moss. 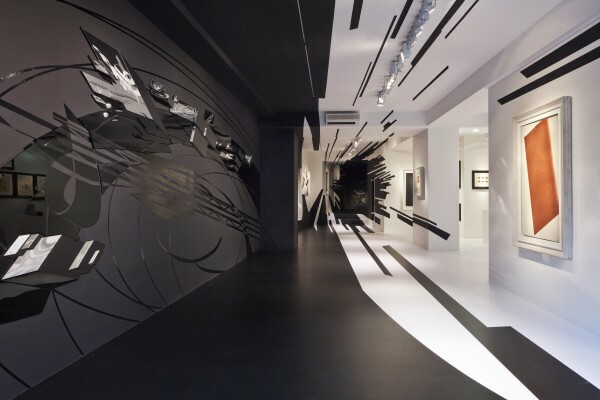 Other luxury brands had famous artists contribute to their collections in particular. 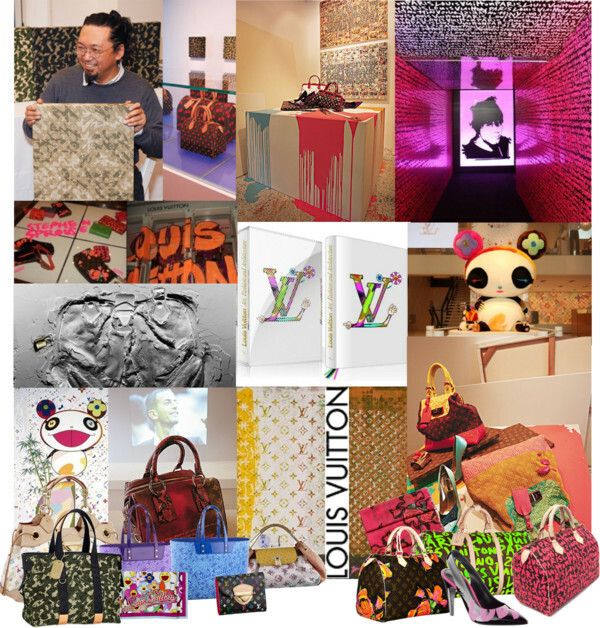 The numerous successful collaborations between Louis Vuitton and artists like Takashi Murakami, Stephen Sprouse and Richard Prince serve as a good example and show the French house`s commitment to the arts. 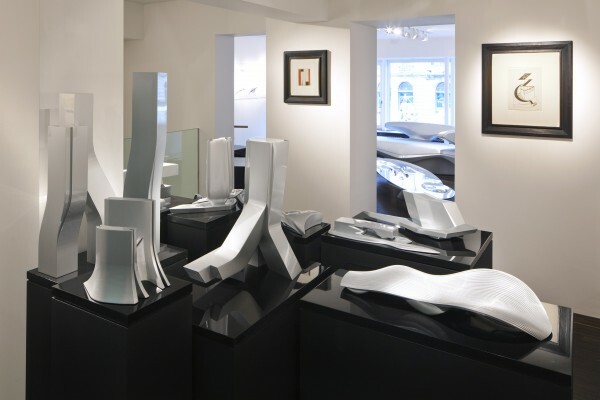 Zaha Hadid, the Pritzker Price winning architect, who is known for her highly futuristic and curvaceous designs has joined many of those interesting projects as well. She created the Icone Bag out of moulded plastic for Louis Vuitton and teamed up with Karl Lagerfeld for the 50th anniversary of the Chanel handbag to develop the Chanel Mobile art container, “a museum that can travel”. 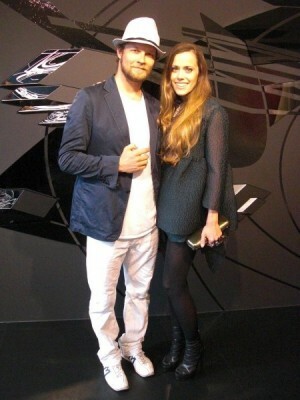 Her architectually inspired shoes for Melissa and jewelry for Swarovski have already become collectors`pieces. Last week, it was a busy and important time for all art lovers as the 41th Art Basel took place. 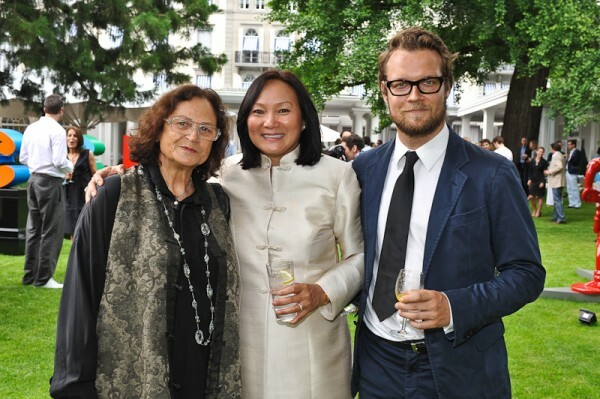 Before the opening of the famous art fair, I was very lucky to attend two amazing events in Zurich that inspired me to write this post. First, the opening of the fifth annual “Art in the Park” outdoor exhibition that will go through August 1st, this time devoted to Pop Art. 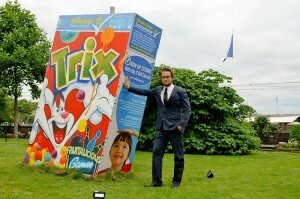 If you are living in Zurich, I truly recommend a visit to the beautiful garden of the hotel Baur au Lac where Gigi Kracht, the show`s creator and curator, shows in cooperation with Zurich`s Galerie Gmurzynska many impressive works, including the famous “Lucky Numbers One through Zero” by Robert Indiana, gigantic installations of cereal boxes with interesting insinuations by young and hyped Finish artist Jani Leinonen and sculptures by Allen Jones and Rotraut, the widow of Yves Klein and sister of Günther Ücker, just to name a few of the oustanding pieces. 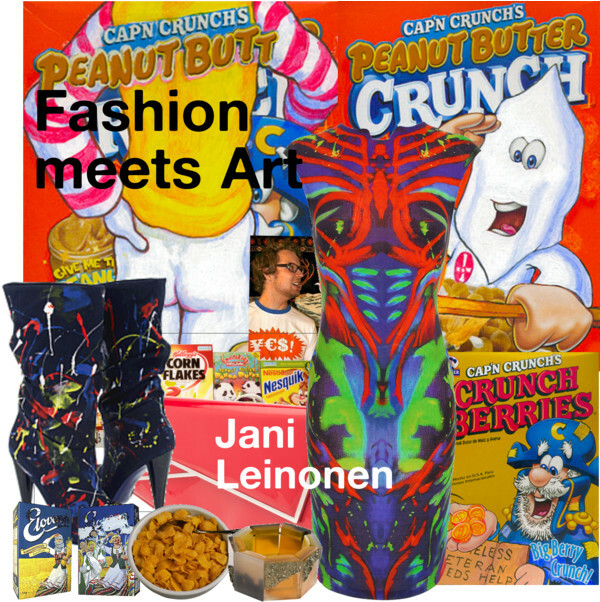 At the dinner I was sitting next to Jani Leinonen who gave me an impressive insight into his works and we had a great conversation about fashion and art. 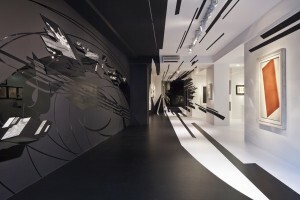 On Sunday, I saw Jani again when Galerie Gmurzynska opened the exhibition Zaha Hadid and Suprematism. 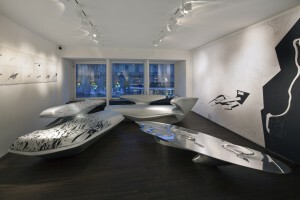 Drawing on Zaha Hadid`s formative inspiration from the masters of the Russian Avant-garde, the famous architect both curated and designed this historical exhibition. I loved the unbelievable installation in which the exhibition is taking place. 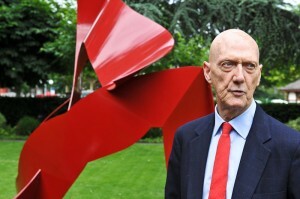 The works of the recently named one of the 100 Most Influential of People of 2010 by TIME Magazine come in a variety of mediums. Enjoy the photos. 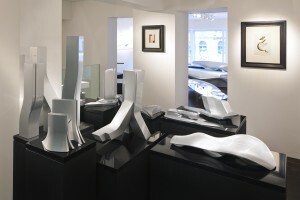 The exhibition at the Galerie Gmurzynska will go through September 30th. 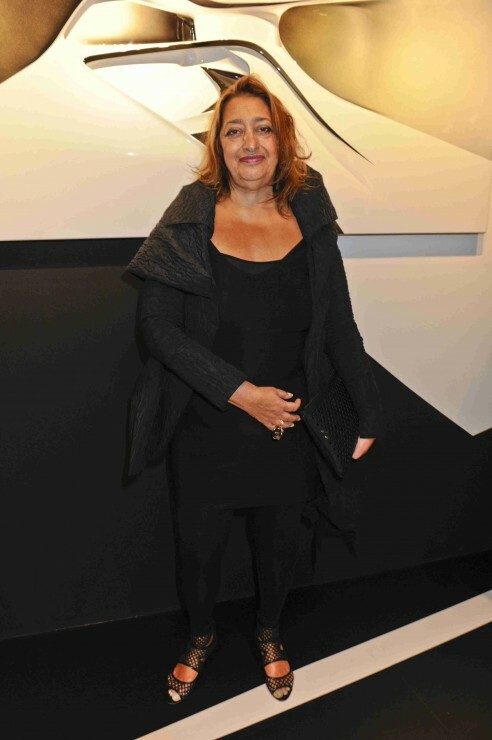 Zaha Hadid at the exhibition with Chanel`s turquoise nail polish Nouvelle Vague on her toes. I wonder if she reads Sandra`s Closet?! At previews, I always love to observe what people are wearing. To borrow the cliché, Marni, Yohji Yamamoto, Comme des Garçons and Prada are loved by the art crowd. Said to be intellectual fashion. As I just met Allen Jones, Jani Leinonen and Zaha Hadid, I got inspired by their works to put together some great oufits. Have a look below. I hope that you will like them.